Taxi Lezzeno provides National And International Transfers, Airport Transfers, Train Stations, Hotels, Weddings, Events, Gala Dinners, Business Trips, Sporting Events Relevant, , Holidays, Meeting, Conventions, Shopping, City Tours, Escursions or just to have a car with driver at Your disposal and in complete relaxation, with customized solutions for any requirement. Our company provides private taxi service in Lezzeno Lake Como area Italy. Our main purpose is the client’s total satisfaction. We offer to our clients a large range of services and different solutions to meet your needs. We make daily transfers by private car to reach the airports of Milan Malpensa, Milan Linate, Orio al Serio Bergamo, Lugano, Verona, Zurich, Venice the railway stations of Milan Central, Milan Porta Garibaldi, Como San Giovanni, Lecco, Trasnsfer to Florence, Sirmione, Lake Garda, Stressa Lake Maggiore, Genoa, Bergamo, Vicenza, Portofino, Santa Margherita Ligure, Cinque Terre, the center of Milan, taxi from Lezzeno to Bellagio, Magreglio, Ghisallo, San Primo, Nesso, Varenna, Tremezzo, Menaggio. Transportation to or from your Hotel or Apartment in Lezzeno .. ..
All vehicles are legally allowed to taxi licenses, and conducted by experienced drivers. Our drivers are all from the Lake Como area and know the roads and history very well. You can get information and reservations for transport by car to and from Lezzeno and the Lake Como area! By filling out the form below. You will receive a quick and accurate response with the availability and price. Private door-to-door transfers between city and local drivers Convenient, cheap and fast. New luxurious cars equipped with every comfort. 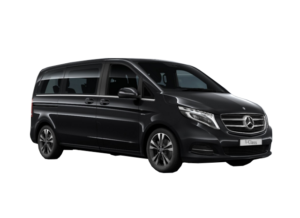 Transfers by car, Minivan, Minibus, and bus.